The Rundown: Poor Decker...he really got it rough in "The Motion Picture"; it was just bad news after bad news for him. Well, this figure kinda fits right in with that. 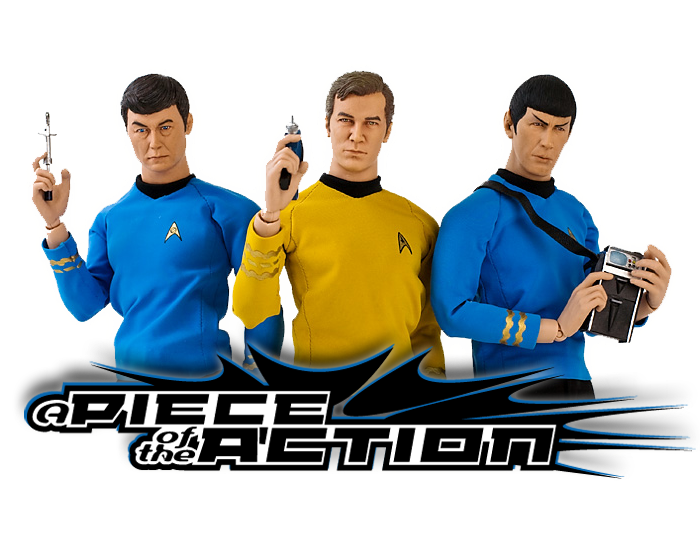 As I've mentioned in my other Mego TMP spotlights, I think the line is pretty awesome. The aliens are fantastic, and the crew (while not quite up to par with the aliens) are allot of fun too. The place where the crew figures really shine is in the head sculpts. Unfortunatley, Decker is the one I see as the biggest failure in the bunch. The head doesn't really look anything like Stephen Collins in my opinion. That's a really bummer when all the other heads are pretty strong. 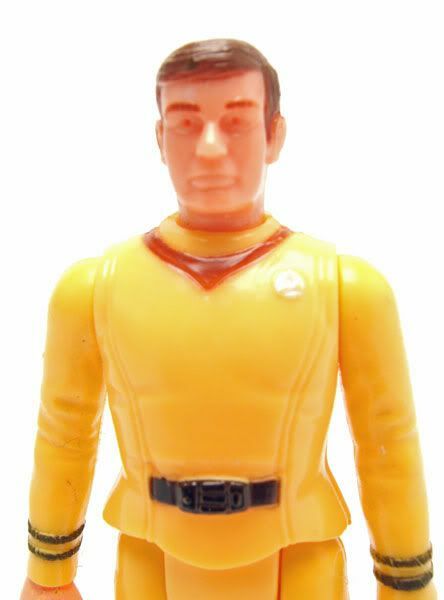 The body is the same standard fare as the other crew; there's 5 points of articulation on a pretty well detailed body. Sure, they are a bit hippy, but it's a product of the time- sculpting at this scale then wasn't what it is now. 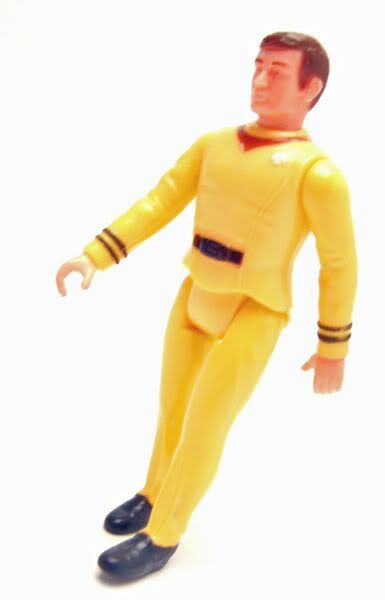 Oh, and I honestly don't remember seeing Decker in a yellow uniform in the film though...could be my failing memory or it could be based on conceptual, promotional, or deleted stuff. So, yeah, probably my least favorite of the line...which is a shame because I really like Decker. 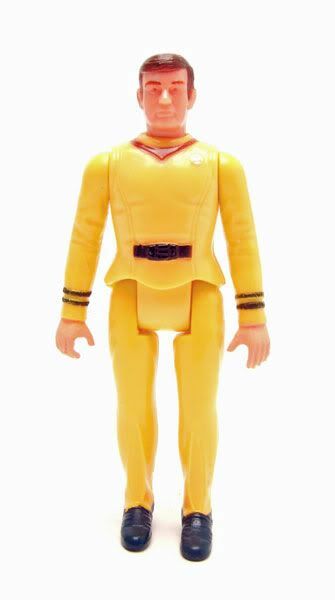 Yeah... Decker only wore a yellow uniform in promotional photos for the film. And whatever possessed them to make the boots black? On the regular uniforms all the boots were made into the uniforms and were the same color. This is a clear case of "fail." 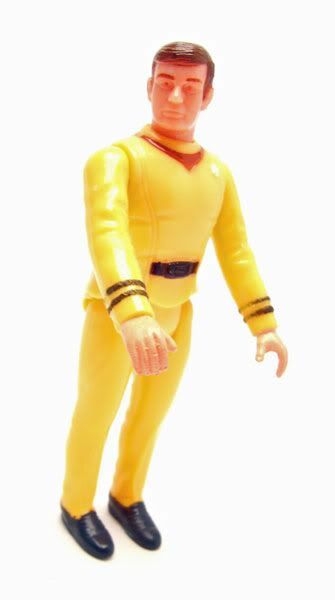 Yeah, the yellow uniform was seen only in promo photos, but Mego was probaly desperate for any way to make the various figure's uniforms varied. The black painted shoes REEAAALLYY make this figure look dorky. They could have at least painted them brown ( not that it would have been any better, but at least it would be in the same color palette.